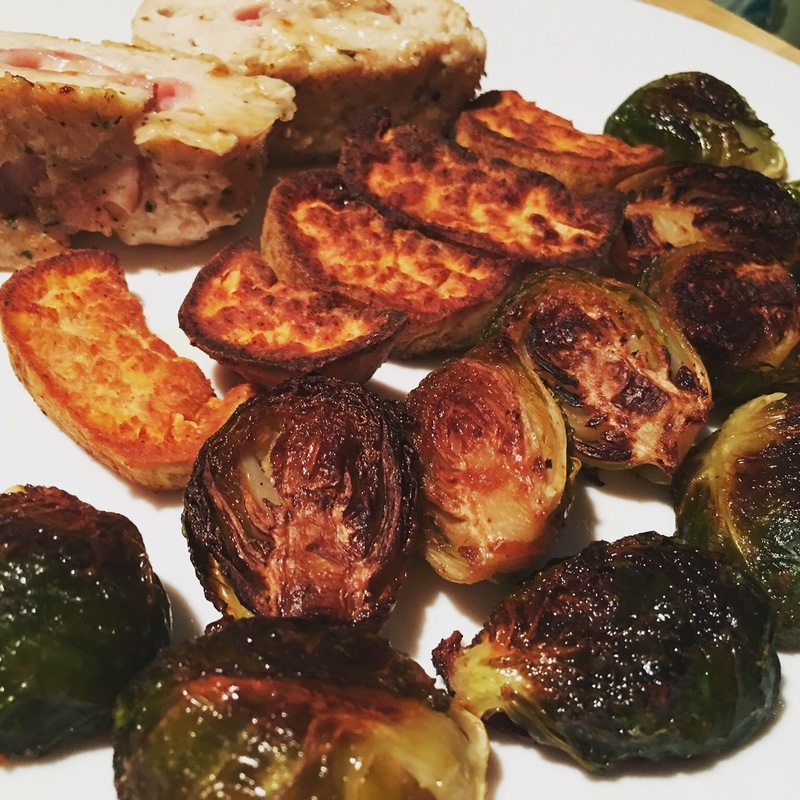 Roasted sweet potatoes, brussel sprouts, and left over chicken – Hurried Home Chef! If you’ve been away like me and need something good to eat when you get back, but you are exhausted and not looking for hours in the kitchen, take some help from the store and your oven. Roasting vegetables are simple, easy, and healthy. Do it! It’s hot here in Florida, but I still just do it. 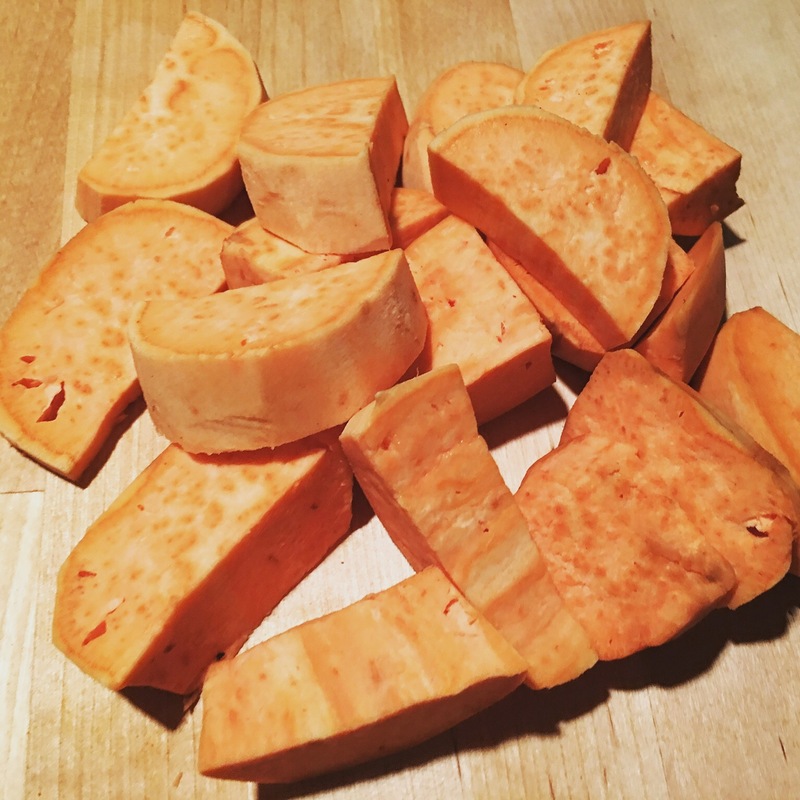 I peeled and chopped some sweet potatoes, tossed them in some EVOO with salt, garlic powder, and cayenne pepper. In the oven, I put a a little oil in the pan and left it in there while it preheated up to 425. 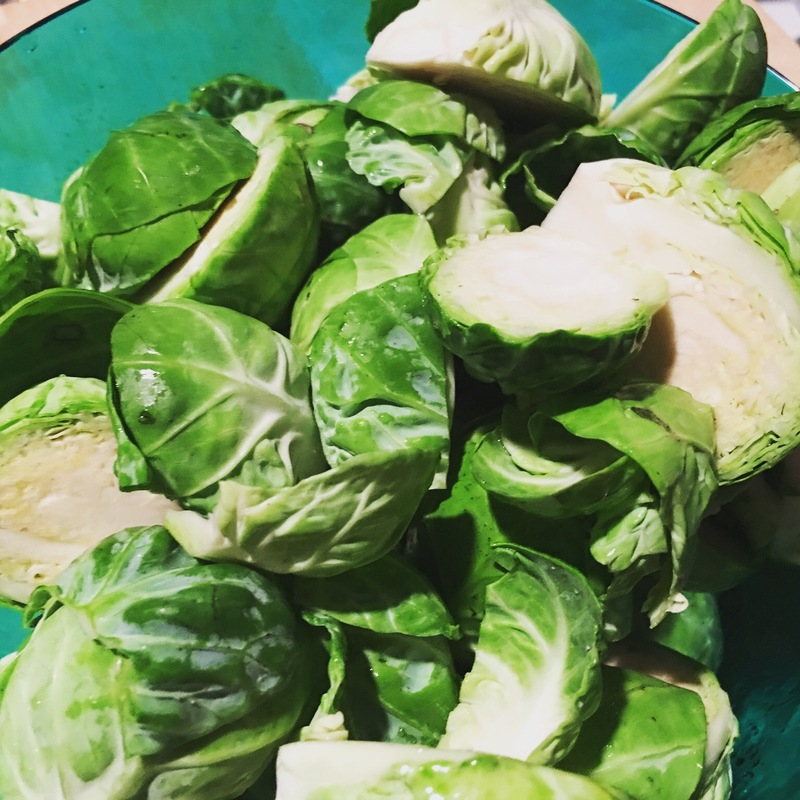 Meanwhile, I chopped some brussel sprouts in half and did the same. Toss with EVOO, Himalayan sea salt, garlic powder, and cayenne. Take the pan out of the oven, then carefully put the veg on it and back into the oven. I took some help from the store on this day, and bought some prepared raw chicken cordon blue. I seasoned it a bit more, added salt, black pepper, and you guessed it…hot pepper! Then I baked it per instructions. Then kept it in the fridge, and ate it with salad and this. I like it crispy and hot, YUM!